On this weekend , i got an order from Mr. Yul Alfian, which was he asked me to fixed some problems on his netbook, the HP Mini 201-1109TU . He was concerned about the sluggish performance and also the boot time is too slow. OK, when i turned on this netbook for the first time impression, it does a very slow boot time ( almost 4+ minutes ), and the performance is very disresponsive and too much lag. This netbook has an Intel Atom N470@1.83GHz processor (hyper-thread) , 1 GB of RAM , 250 GB on HDD and OS Windows 7 Starter. I know, the specifications is less powerfull , but hey .. This is a netbook right? Don't expect too much on it. As usual , I always avoiding re-install the OS in every troubleshoot i did. In my opinion, that way is less smart . I believe i can boost up this netbook's performance into acceptable speed. 1 . First , I immediately uninstalled the Norton Internet Security and Adobe Reader. No offense, but for all this time I am personally more happy with Avira Free Antivirus (download here) and Foxit Reader (download here) as a PDF file's reader . Both of the them are much lighter, especially on low-specs computers. Doing a full virus scan with Avira right after install it is also a good idea . 4 . Next we have to change the Power Plan . Go to Control Panel > Power Options , select the High Performance power plan . 5 . 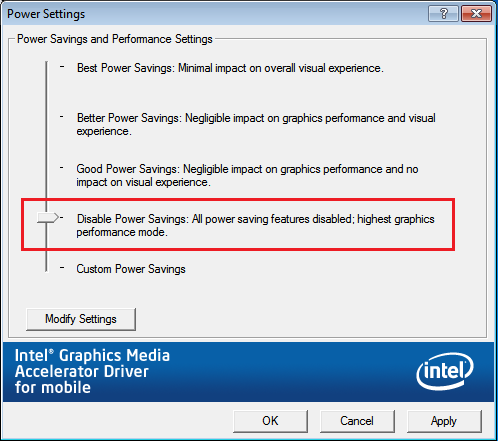 Go to Control Panel > Intel ( R ) GMA Driver for Mobile > Display Settings , then press the Power Settings . 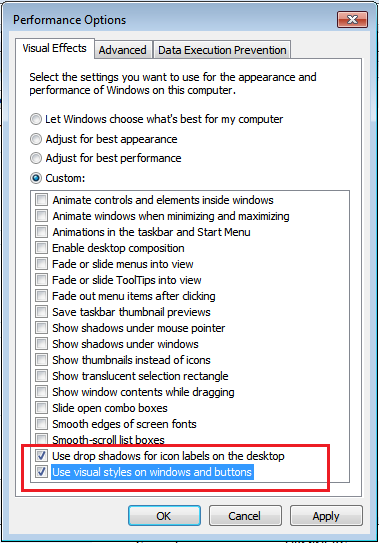 In the dialog that appears , drag the slider on the option Disable Power Savings. 7 . The HP Mini 210 features HP QuickWeb. So for the user does not have to wait for long boot time , set the computer to boot into the Windows OS if inactive for 5 seconds . 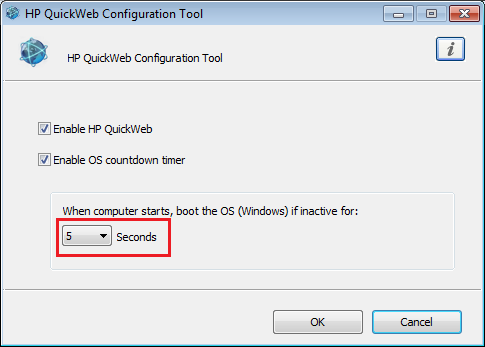 Go to Control Panel > HP QuickWeb Configuration Tool , do set it there . 9 . Dispose of unnecessary applications running on your computer and waste services that are not necessary. I know, this steps can be a painful step, such as MsConfig, Registry Editor , blah .. blah ... But my recommendation, just go install Baidu PC Faster (download here). 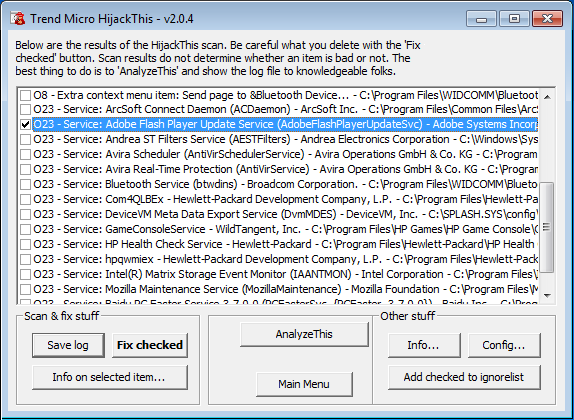 This application is very useful and well smart in diagnosing problems on your computer, while it also offering a solution or fixes. A very very recommended tool. And now let's see the result after reboot. It was shocking ! 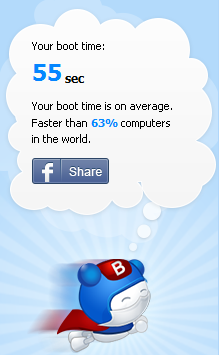 Boot time decreased from 4+ minutes to just 55 seconds ! 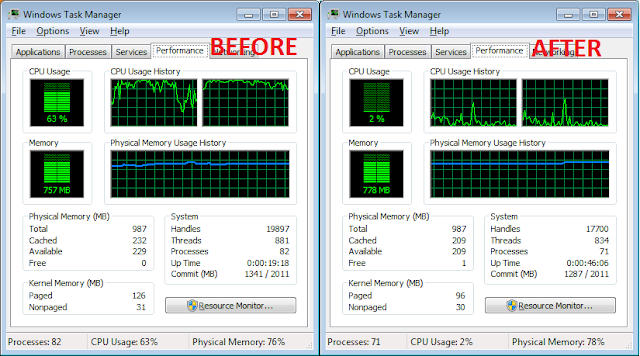 And the overall performance also feels much more responsive . Although sometimes there is still a little lag especially when we do multitasking tasks. My advice? I strongly suggest to upgrade this netbook onto 2 GB of RAM for a smooth performance. 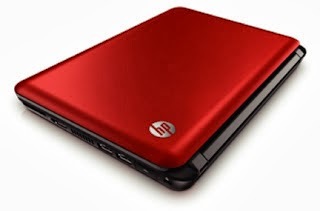 Hopefully this post can help you whom with same performance issues on HP Mini 210-1109TU . Basically the above tricks can also be implemented on other notebook's brands . While you're at it, clear out all the temporary files that Internet Explorer litters around your hard drive. Doing this may not boost your Windows start up speed but you'll notice the difference when you explore the web.